Renovating your home not only upgrades the property. When done right, it also boosts the overall value of your home, especially when you decide to sell it. 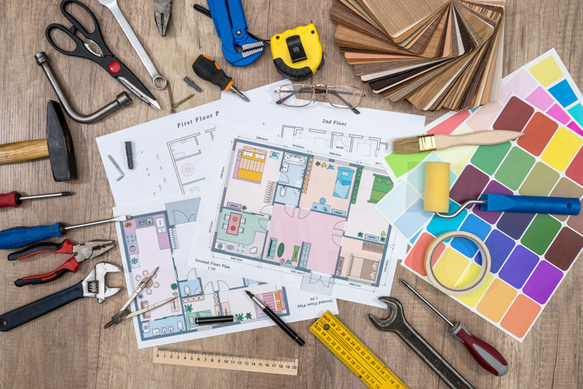 The following renovation projects will prove incredibly beneficial this year, based on Remodeling magazine’s 2018 Cost vs. Value report. Replacing your garage door not only improves your home’s curb appeal. It also promises the highest return on investment. The whole job can set you back by $3,470 on average (if you’re thinking of installing a four-section garage door), you will also be able to recoup up to 98.3 percent of your cash. Another home upgrade that will significantly boost your property’s curb appeal and aesthetic value is replacing your home’s current siding with manufactured stone veneer. It comes at a hefty sum, with the average cost at about $8,221 according to the report, but you will also be able to recoup 97.1 percent of your expenses come resale. If your property has ample yard space, you might want to add a snazzy wood deck that measures at least 16-by-20 foot. The average cost of this project, including the railing system, balusters, and wood posts, is at around $10,950. It is worth it, however, as this project will also allow you to recover almost 83 percent of your investment. If people have been telling you a kitchen renovation might be useful, they’re correct. You don’t even have to do a major upgrade, as a minor remodel (which includes new laminate countertops, better cabinetry, and new, energy-efficient appliances) can already improve your property value significantly. This project costs about $21,198 (with the upgrades stated above) and will give you back 81.1 percent of the total cost. You don’t need to invest in manufactured stone veneer to reap a sizable return on investment (and add to your home’s resale value). Any siding replacement can easily do that for you. According to the 2018 Cost vs. Value report, replacing about 1,250 square feet of your home’s old siding with new ones has an average cost of $15,072. A bit pricey, but you’ll also be able to recoup $11,554, which is 76.7 percent of your expenses. Home renovations can cost a pretty penny, but these projects have proved that they are not only necessary but also worth it. There are 15 more home remodeling projects that will boost your property’s resale value this year. For more information, check out Remodeling magazine’s 2018 Cost vs. Value report. Fiddle with the geographical parameters to zoom in on Winter Haven and Polk County, FL data. Find more home renovation tips and other useful real estate information by browsing Better Homes and Gardens Real Estate by Design’s blog, which is regularly updated with all the latest in Polk Country real estate and more. You can also get in touch with the team at 863-294-7000 or through this page to learn more about Polk County, FL real estate and homes for sale.